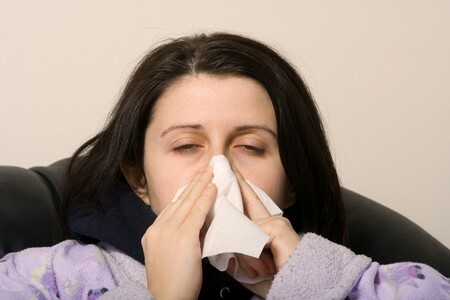 If you are not attentive to your health, a cold virus can easily affect you. It is easy to catch a cold, but it is also considerably easy to cure one. To save you from the hassle having a cold brings, try some of these useful tips to cure a cold. Throw a hot towel on your head and breathe in hot steam for 5-10 minutes. Do this if you wake up not feeling well. If you have an itchy throat and mild headache, you can remedy an oncoming cold by employing this simple technique. You can also take a steamy shower if you like. The hat will eliminate the cold virus in your nose before it leads to a cold. The steam will clear up your nasal passages and prevent mucus from forming. Drink a lot of water, juices and tea throughout the day. If you hydrate your body, it will heal itself more efficiently. Observe your urine, which should be clear or almost clear in color. Consume plenty of doses of vitamin C. You can take vitamin C supplements or eat vitamin C-rich foods. Eat citrus fruits: a dose with every meal is fine. Avoid eating a lot of dairy products, as these foods may stimulate mucus production and worsen your situation. Wash your hands often. The easiest way to transfer virus and bacteria is through your hands. Your hands contain a lot of bacteria you acquire during the day, so make sure you wash your hands regularly. Exercise during the day. Your physical activities may depend on your overall health and fitness. A brisk walk or 15-minute jog around the park will suffice. Exercising increases your body temperature, and an elevated body temperature kills viruses and bacteria. This is why when we have a fever our bodies rise in temperature to kill viruses and bacteria. Take a hot shower. The heat and the steam from the shower is great for clearing your nasal passage. At the same time it relaxes and makes your body feel better. Take medications for colds. There are a lot of over-the-counter products that will directly address curing your cold. Eat chicken soup. This is a traditional way to relieve colds fast. According to studies, chicken soup and the warm temperature from it clear up the nasal path. Rest and get plenty of sleep. This is the time to take a break and rest your body. You can take naps throughout the day and go to sleep early in the evening. Extra hours of sleep can greatly help in curing your cold. Pile on extra pillows. You can sleep more comfortably by sleeping with your head more elevated than usual. This will help if you suffer from nasal congestion while sleeping.